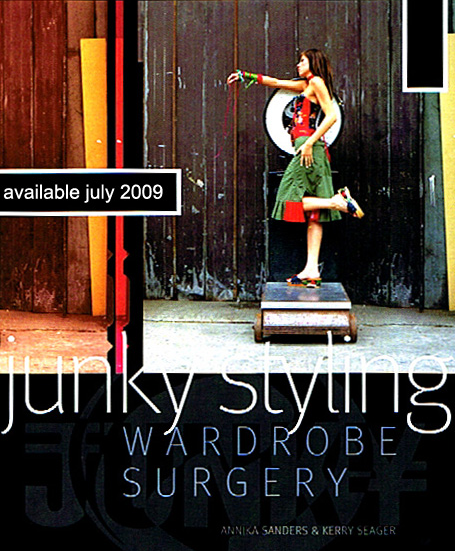 Junky Styling “Wardrobe Surgery” by Kerry Seager and Annika Sanders is available to purchase via their website. Junky Styling are a fashion brand who upcycle clothing to create new wearables and they offer a wardrobe surgery consultancy service that allows consumers to update their wardrobe using existing garments. Working with used and already constructed clothing can be restricting but they have engineered this element into their design aesthetic and the overall look of the transformed garment is both stylish and wearable. A must have book for any fashion DIY enthusiast or any fashion consumer. Wouldn’t a few tips and tricks to update our wardrobe be valuable?